So this is the last Friday before the election next Tuesday. Normally I reserve Fridays for less serious topics. And often xkcd does a great job covering that for me. But because of the election, I want today’s to be a bit more serious. 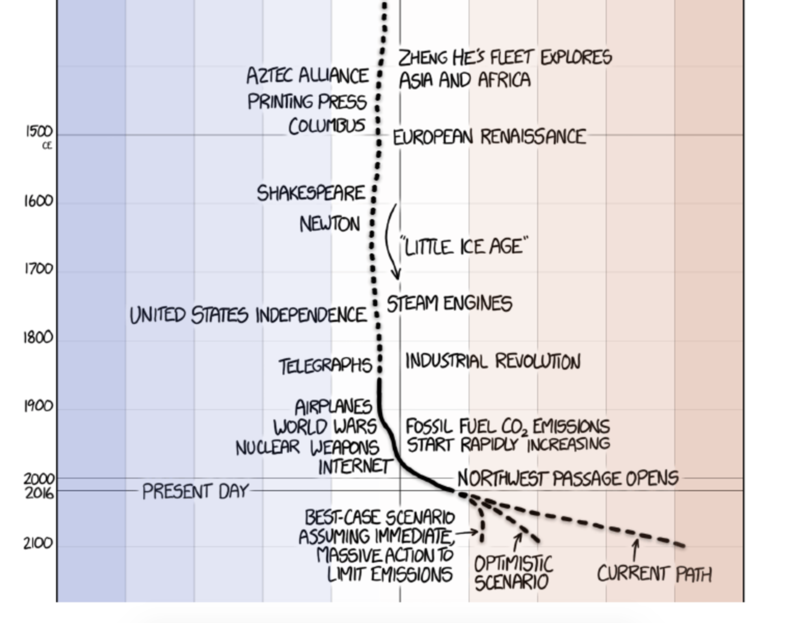 Thankfully, we still have xkcd for that. The screenshot above gets to the point. But the whole piece is worth a scroll-through and so it goes at the end. Credit for the piece goes to Randall Munroe. From time to time in my job I hear the desire or want for more different types of charts. But in this piece by Nick Brown over on Medium, we can see that there are really only a few key forms and some are already terrible—here’s looking at you, pie charts. How new are some of these forms? 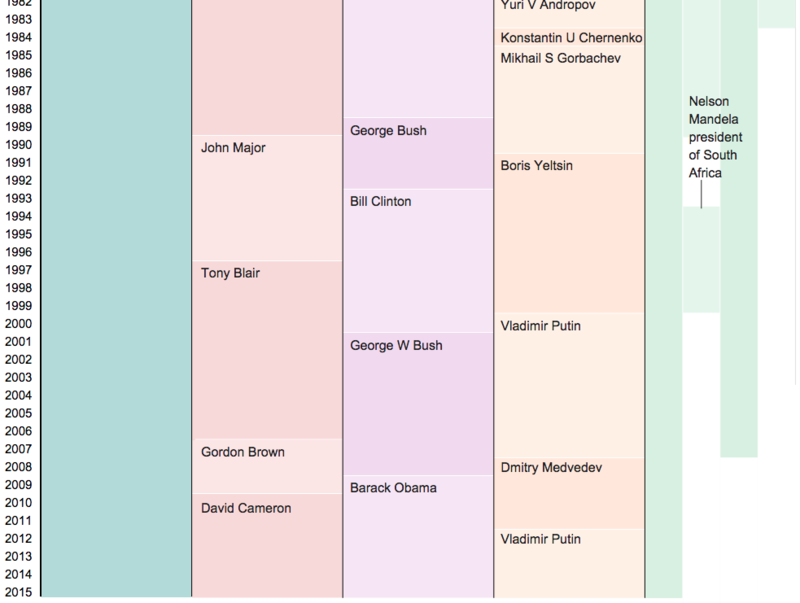 Turns out most are not that new—or very new depending on your history/timeline perspective. 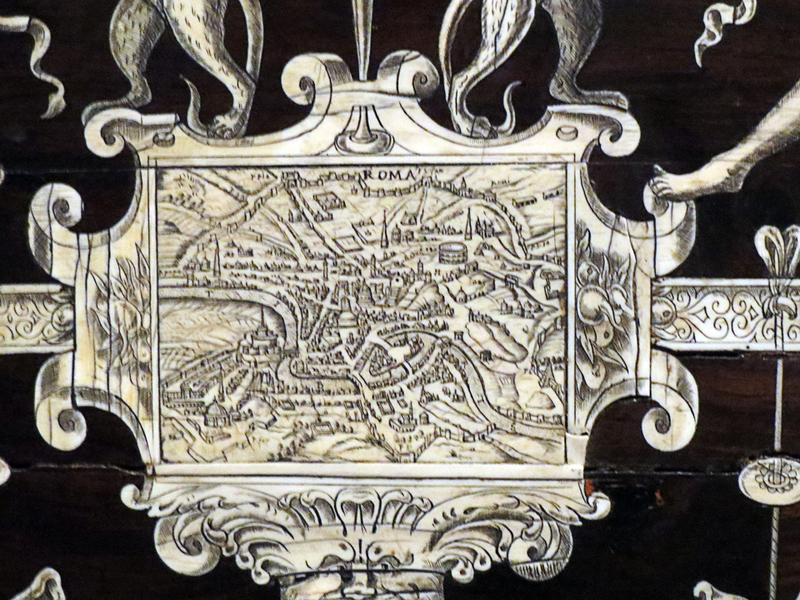 Brown illustrated that timeline by hand. 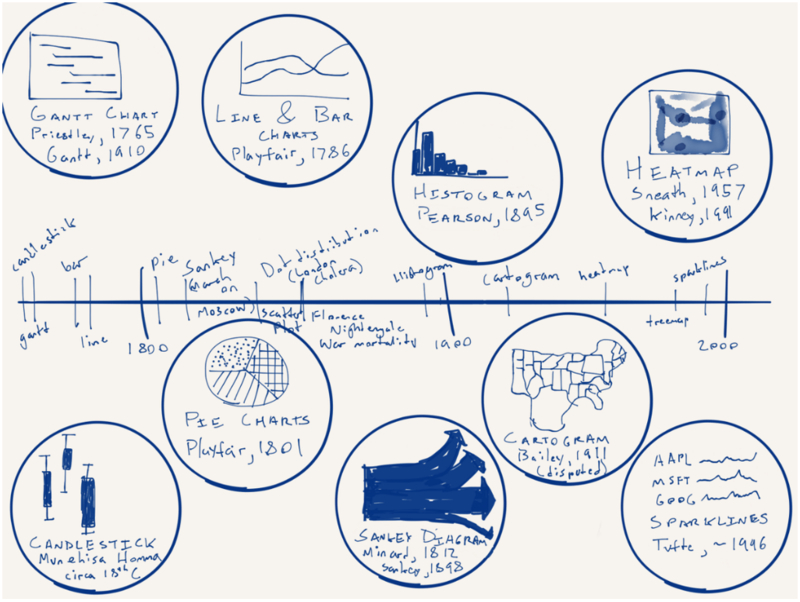 Worth the read is his thoughts on what is new for data visualisation and what might be next. No spoilers. Credit for the piece goes to Nick Brown. 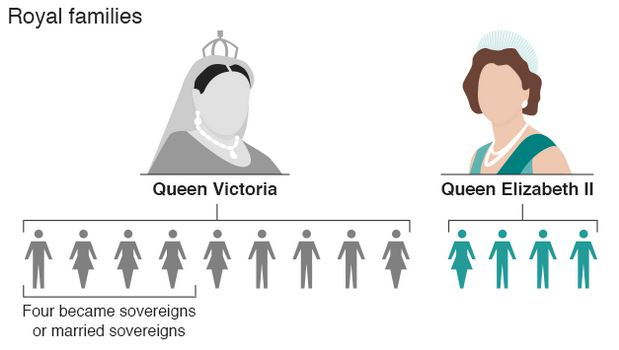 Following on from yesterday’s post about Queen Elizabeth’s timeline as she passed Queen Victoria, today we have another selection from the BBC that compares the reigns of the two queens. Unfortunately, while the screenshot below is okay, the overall graphics and illustrations strike me as a bit too simple and not terribly useful in making comparisons. As of today, Queen Elizabeth is the longest reigning British monarch. She has surpassed the record of the famous Queen Victoria, Elizabeth’s great-great-grandmother at 63 years and seven months. Obviously a lot of things have changed over those 63 years, and in this article the BBC uses a graphic to look at how the world stage has changed. Today’s post relates very much to yesterday’s post. 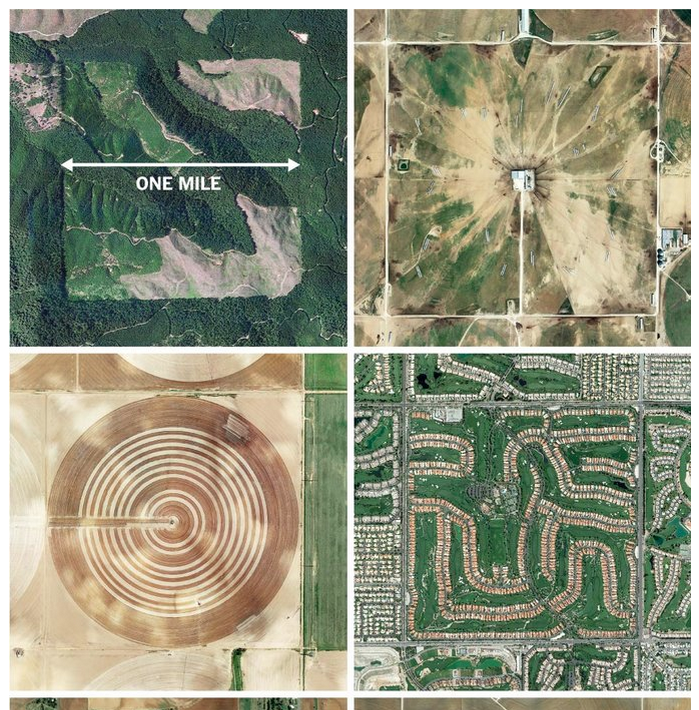 But this one is from the New York Times and uses aerial photography to showcase how the Jefferson grid system works in reality after it was implemented as shown yesterday. A few weeks back I looked at my ancestral family’s land grant in Wisconsin. Unlike land on the East Coast that was surveyed and organised by pioneers in different colonies using different sets of rules, after the formation of the United States, surveyed land was organised into townships that had subdivisions. In this blog post I found about the subject, there are several diagrams and maps that explain just how this system worked. 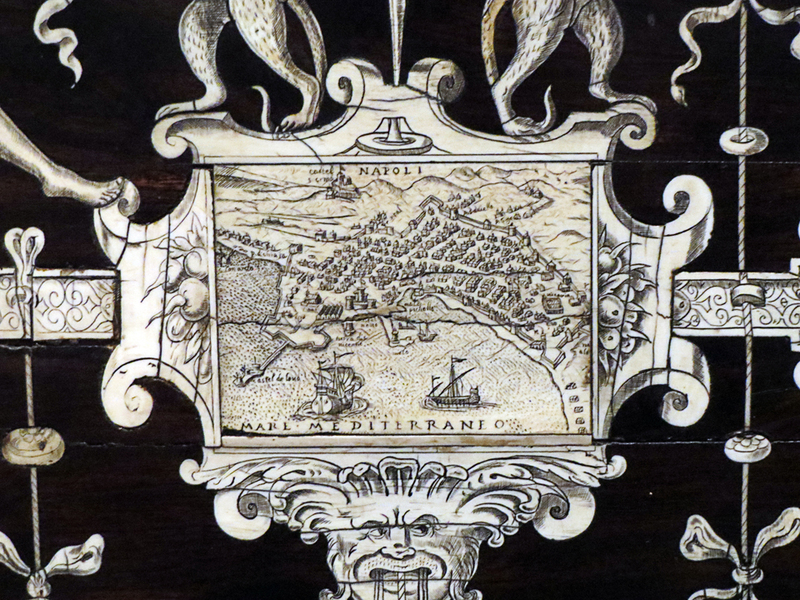 If you’re curious about how western land was organised, its worth a quick read. Credit for the piece goes to Living History Farms. While in Philadelphia last weekend, I managed to make it to the Philadelphia Museum of Art for a little bit. 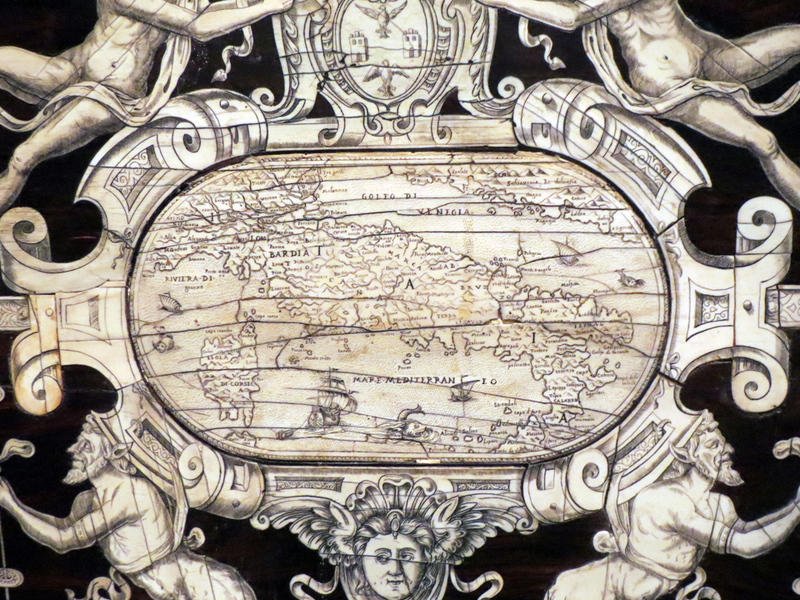 And today’s piece is a nice map—ivory on ebony—from a 16th century Italian writing cabinet. 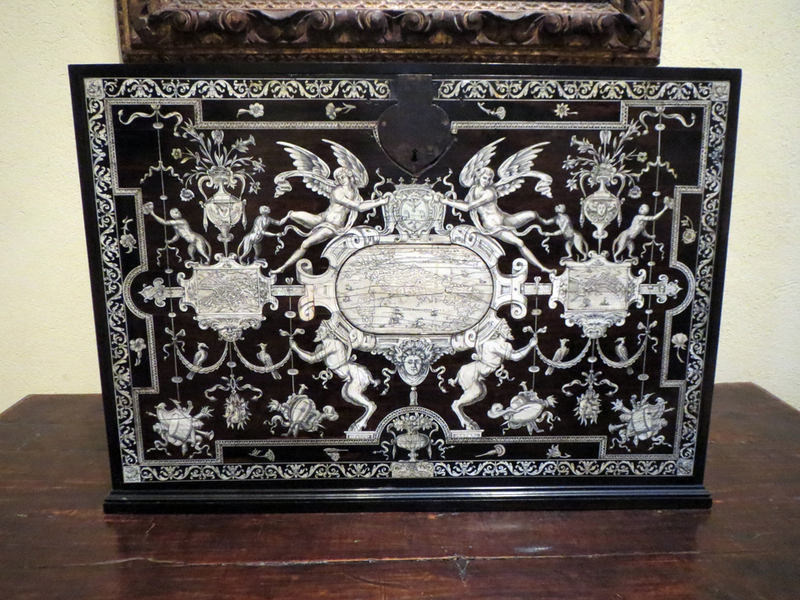 Credit for the piece goes to the workshop of Iacobus Fiamengo. I have returned from my trip up north to Minnesota and Wisconsin. Unfortunately, from the research side it was not the most successful of trips. I did find some records, but none that answered any of the big questions I had. If anything, I now have far more questions. Most of the information I learned deals with the homesteaded land that John Spellecy received in 1888, at the young age of 70. It turns out by the time he was given the land by the US government, he had already made one contract to sell a portion of it. And so to make some semblance of it, I made this animation to show how the land grant disappeared over only a 12 year period. For the curious, the background image is a digitisation of the US government’s original land survey. 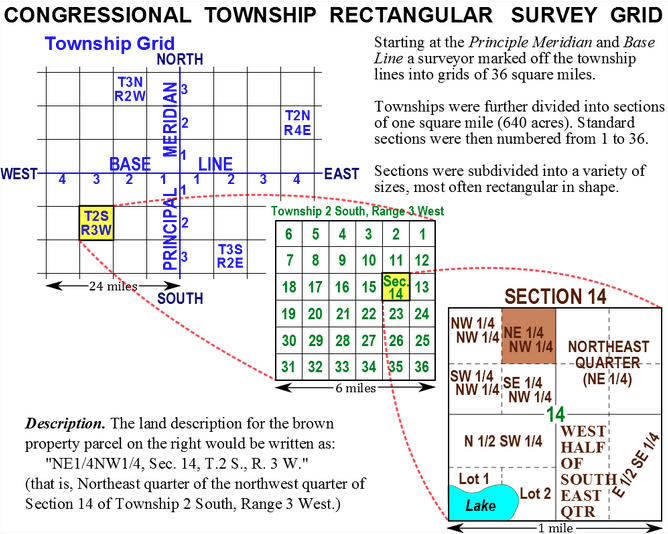 The A.160 denotes 160 acres, the maximum allowed by a homestead claim. Today the Supreme Court takes up gay marriage. Again. This is, you know, after they decided two years ago that the federal government has to recognise gay marriages when performed in states where it is legal. Anyway, last week, Bloomberg Business looked at the United States preference for changing its mind through a nice series of charts. 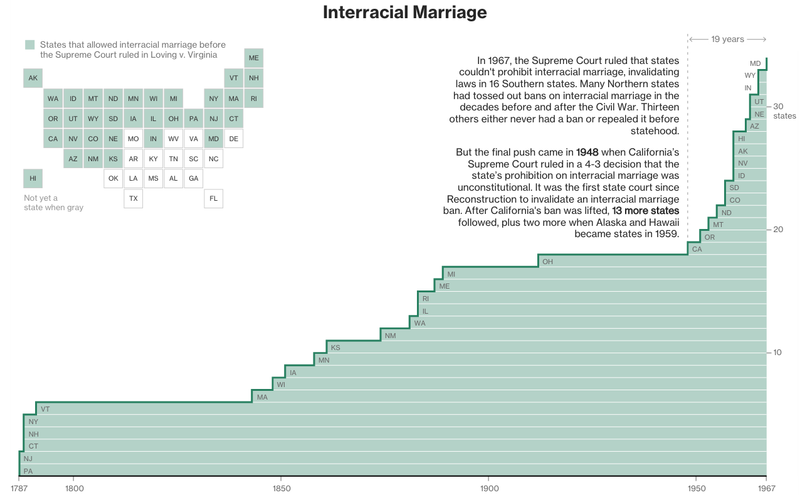 They took six key issues, including interracial marriage shown above, and looked at how the position shifted over time. They identified the basic trend as being early adopter states followed by rapid acceptance to a critical mass, at which time the federal government stepped in, e.g. via the Supreme Court. Credit for the piece goes to Alex Tribou and Keith Collins. For those of you who don’t know, the British Parliament was dissolved today ahead of the 7 May elections. In other words, it is now election time. 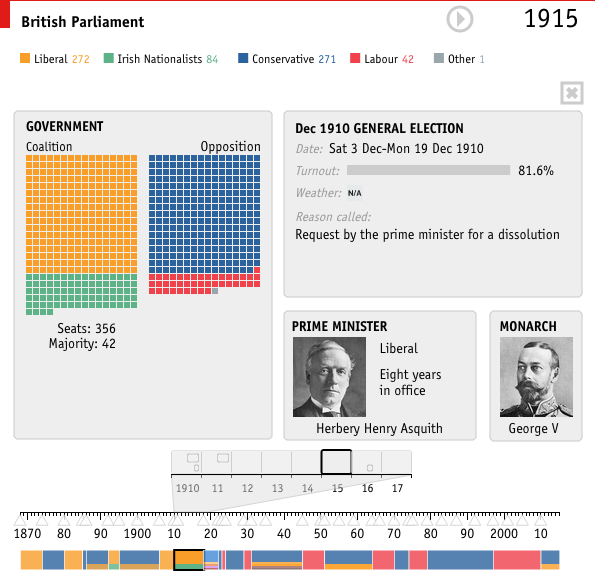 Last week the Economist published a small interactive piece that allows you to look at the composition of the British Parliament from 1870 through today. While many (some?) of us would remember times from recent history, e.g. the 1997 electoral victory of Tony Blair, the memory might be a bit foggier one hundred years in the past. 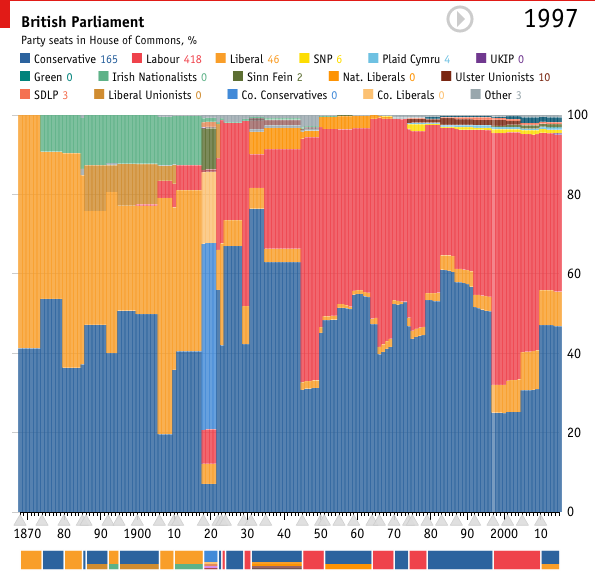 But to help you, if you click on a particular year, the view changes from an overview to a focus on Parliament in that particular year.